Win a Stay at Cinderella Castle! Have you ever wanted to sleep like a prince or princess inside the enchanting and ultra-exclusive Cinderella Castle Suite at Magic Kingdom? Well, dreams do come true with TicketsatWork’s Fantasy Fairytale Vacation Sweepstakes! The iconic 189-foot castle that soars high in the sky at the end of Main Street, U.S.A., remains a regal landmark at Magic Kingdom, serving as the perfect picturesque backdrop for photo ops at every turn and live-show extravaganzas. Even more breathtaking inside, Cinderella Castle boasts five handcrafted mosaic murals ornate with 14-karat gold and silver and one million pieces of glass in 500 different colors just in the main corridor alone. The classic tale of Cinderella unfolds the moment you enter, but the Fantasy Fairytale Vacation allows you to recreate your own fairytale adventure. And this time, the magic will continue long after the stroke of midnight. In addition to a one night stay in the Cinderella Castle Suite, the winner will also enjoy a one-of-a-kind dining experience at Cinderella’s Royal Table, two nights at a Walt Disney World Resort Hotel, four 4-day Magic Your Way tickets including Park Hopper and Water Park Fun and More, round trip airfare for up to four guests, and transportation to and from Walt Disney World Resort aboard Disney’s Magical Express. If I could enter this sweepstakes, believe me, I would in a heartbeat! But I can’t. So have a happily-ever-after vacation (for the both of us) and enter to win The Fantasy Fairytale Vacation from TicketsatWork! In like a lion and out like a lamb. Let’s consider another great getaway. California would be the perfect destination. The gorgeous weather will perk up everyone in the family, and there is definitely something to do from coast to coast. Speaking of lions, let’s start at the San Diego Zoo. The safari park is full of exciting family fun and adventure. And when you register your employees in our program, you can save up to 20% off on Safari Park tickets to delight and astound the whole gang. 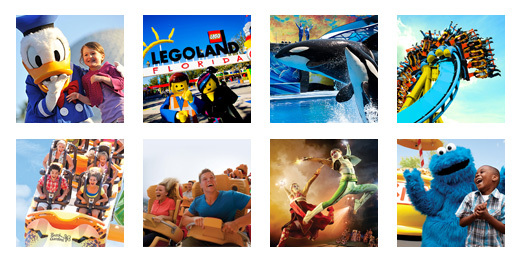 In addition, we can get a San Diego Go Card for 55% off all-inclusive attractions. San Diego’s beautiful spring weather makes you never want to leave….but if you’re interested in some additional excitement, head to Hollywood! Not only can you grab a star map and visit the houses of the rich and famous, but you and your family can check out Universal Studios Hollywood. With spectacular thrills, world-class entertainment and loads of savings on everything there is to do in the park, Universal Studios Hollywood has something for all and makes for perfect family fun. Cheer for yourfavorite teams! As the NBA and the NHL nears the post season, I’m excited to possibly see Miami Heat vs. Cleveland Cavaliers or see the New Jersey Devils play one more time. While TicketsatWork has great seats to some of the last games of the season from Orlando Magic to Arizona Coyotes, it’s now time to think about what’s up and coming in the world of sports.